Here are a few of the most interesting Wongnai statistics and facts I was able to dig up. As always, be sure to check back in the future as I will be updating this post as new and updated stats become available. 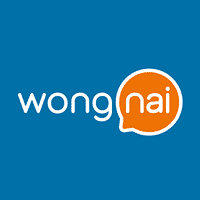 Number of shops listed on Wongnai? Wongnai is a restaurant review site from Thailand. It is similar to Yelp. 50 Interesting Ctrip Statistics and Facts (2019) | By the Numbers Updated for 2019. Here are a few of the most interesting Ctrip statistics I was able to dig up including users and revenue..
30 Interesting Meituan Facts and Statistics (2019) | By the Numbers More Meituan stats and facts than you will ever need to know including number of users and more. Updated December 2018. 35 Amazing TripAdvisor Statistics and Facts (2019) | By the Numbers Here are a few of the most interesting TripAdvisor statistics including user totals, number of reviews, accommodations, restaurants, etc. Updated for...2019.